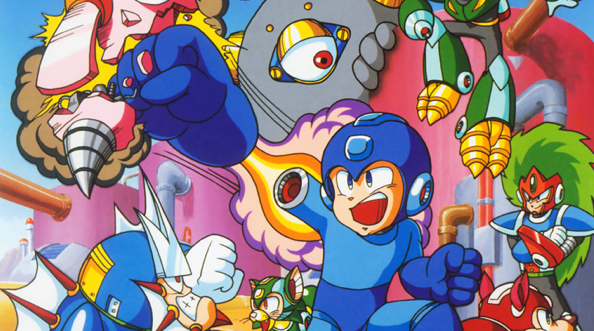 The fifth and final entry in the Rockman World sub-series is hitting Japan next week. On Novembmer 6th, Nintendo 3DS users can download Rockman World 5 from the Nintendo eShop for 400 Yen. Jealous? Oh yes indeed. As we've come to learn, there's not much Capcom can do to get these titles in the west any quicker. The wheels are turning, but it's ultimately up to Nintendo to decide when the games will drop. I suppose Japan can look forward to the first Xtreme title next. I'm wondering if there's a way to get them on an american DS anyway. This wait is killin me. I'll be sure to get it and the rest of the Rockman games on my J3DS as well. I'm seriously considering importing a 3ds from japan, the way nintendo of america is handling the us 3ds eshop is terrible with their slow trickle of virtual console games.